Today, we are announcing the winners of our very first Build-A-Flower Blog Hop Giveaway. First of all, we would like to express our heartfelt gratitude to everyone who hopped along with us! It was such a delight reading through the comments and seeing that you were all as thrilled about the Build-A-Flower Sets as we were! We also have one EXTREMELY lucky winner of the Build-A-Flower raffle! Congratulations to Nancy Crippen (Order #66406)!!! 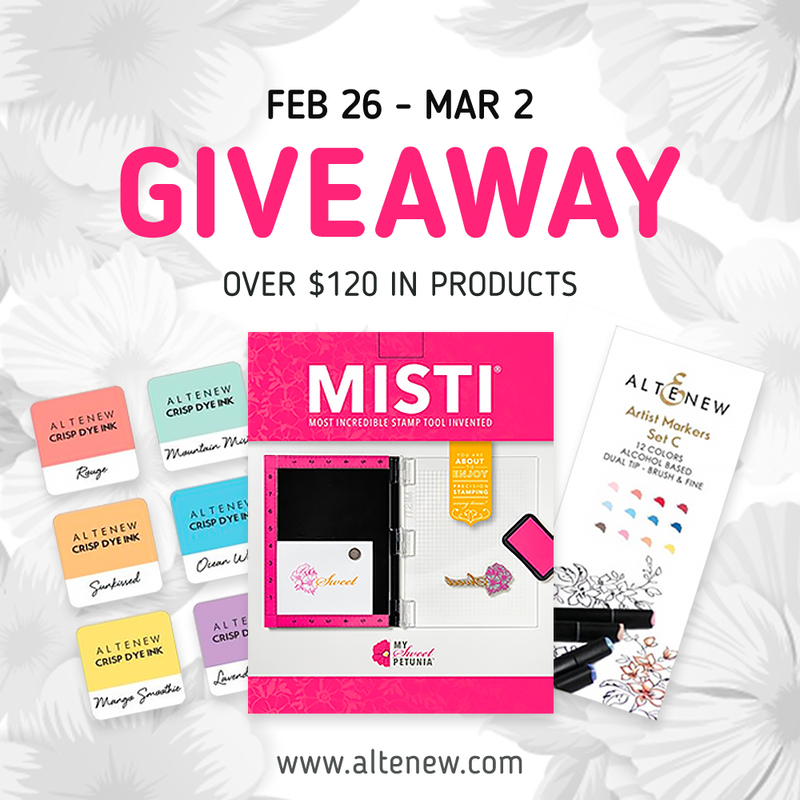 You will receive a prize pack valued at over $120 including one Original MISTI stamping tool, Artist Markers Set C, and Soft Pastel 6 Mini Cube Set! 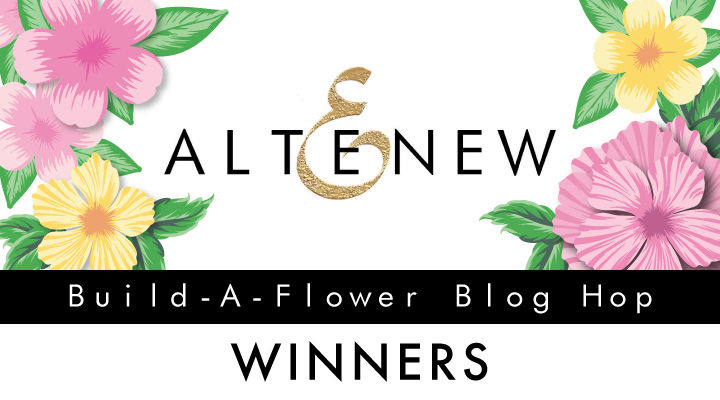 Please email us at winner@altenew.com with the subject line Build-A-Flower Blog Hop Winner by 04/04/18 so we can set up your prizes. If you missed out on our very first Build-A-Flower Blog Hop, you can still hop along! Our incredibly talented design team and special guest designers did an amazing job in showcasing the Build-A-Flower Sets and they have tons of inspiration on their blogs. But wait – there’s more! Some of the designers who participated in the hop announced a winner of a $30 gift certificate. What are you waiting for? Make sure to check out their blogs to find out if you are one of the lucky winners!